Heat a Dutch oven over medium high heat and add about 2 teaspoons of the oil, swirling to coat the bottom. Season shrimp with a little salt and pepper, then add to Dutch oven and cook, turning once, until cooked through, about 2 minutes per side. Remove from pan. Reduce heat to medium, swirl in remaining oil, add onion, and cook, while stirring, about 2 minutes. Add the cumin, coriander, turmeric, mustard seeds, cinnamon, and red pepper and cook a minute longer. Stir in the hot water and add the peas and carrots. Bring mixture to a boil, cover, and reduce heat to medium low. Simmer about 4 minutes then return shrimp to heat through, about one minute. Meanwhile, in a saucepan, bring the coconut milk to a boil, then stir in about 1/8 teaspoon salt and the instant rice. Cover and remove from heat. Let stand until the liquid is absorbed, about 5 minutes. 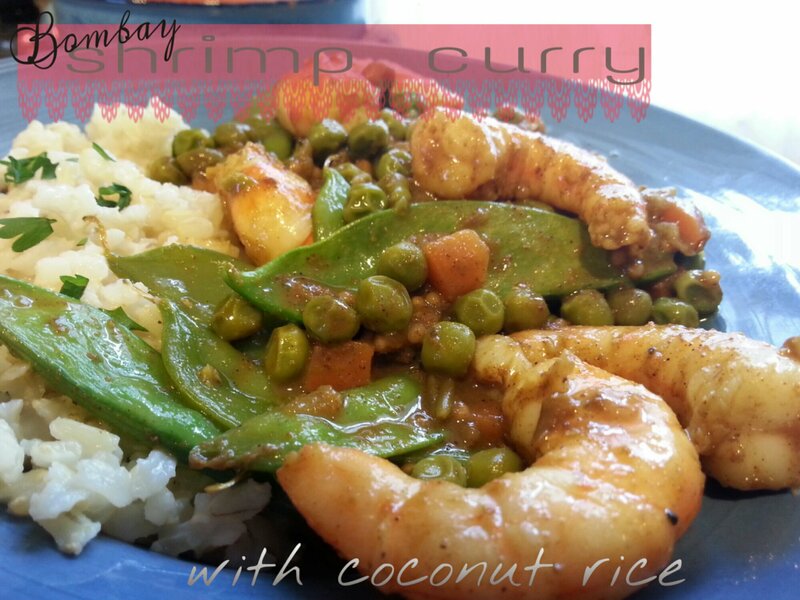 To serve: Plate about 1/3 cup rice onto a serving dish, top with about 1 cup of the shrimp curry, and garnish with cilantro. 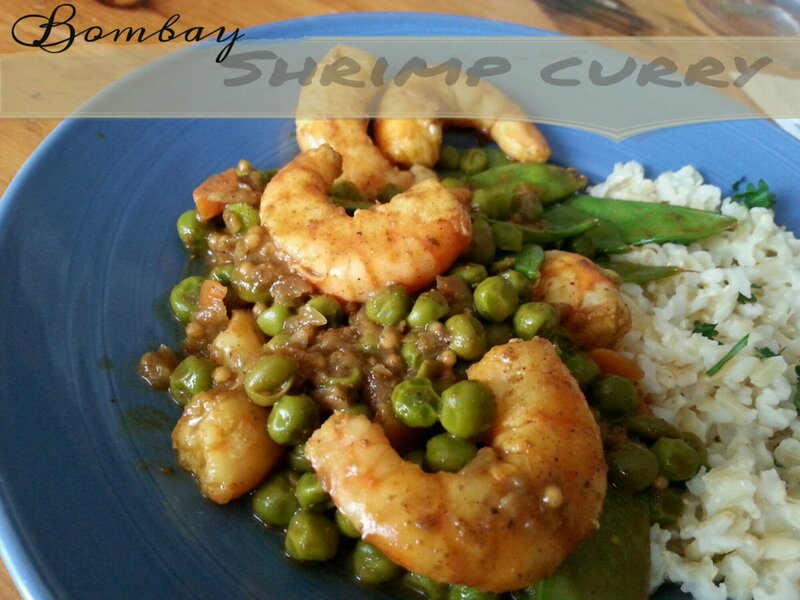 This dish is amazingly delicious and will definitely be in my go-to file when I have shrimp on hand. The spices were wonderful and not overpowering. I did make a couple of changes — I didn’t have the frozen peas and I added coconut milk vs. water to the dish during the cooking process. I can’t wait to share this dish with friends and family. Very yummy! We loved this recipe, and it was so quickly made. Thank you for sharing! I made this for CQ 2017 Himalaya Region for the Happy Campers.